MORE INFORMATION THAT IS TOO SHORT TO POST! The Lighthouse Keeper Database is now on this website and is located here. Photo credits for the header photos at the top of the website are found under HEADER PHOTOS. The NOAA Pacific Tsunami Warning Center (PTWC) webpage is located here. Clicking on a red number (superscript)1 will take you to a footnote or supply additional text information. This Google Earth icon can be saved for use in Google Earth (right click & save). The map here which is generated from the icon, takes you to my hometown, Candon City, Ilocos Sur, Philippines. Here is a KML file for Google Earth listing ALL manned and unmanned lighthouses on the BC Coast. (Note: the KML file can be viewed in Google earth). For help in finding an article . . . If you use the Google Chrome browser for access to the Internet, similar to Internet Explorer or Firefox, then download and add the extension Hover Zoom. No more waiting for a large photo to load – just move your mouse pointer over the small photo or link and it instantly enlarges. 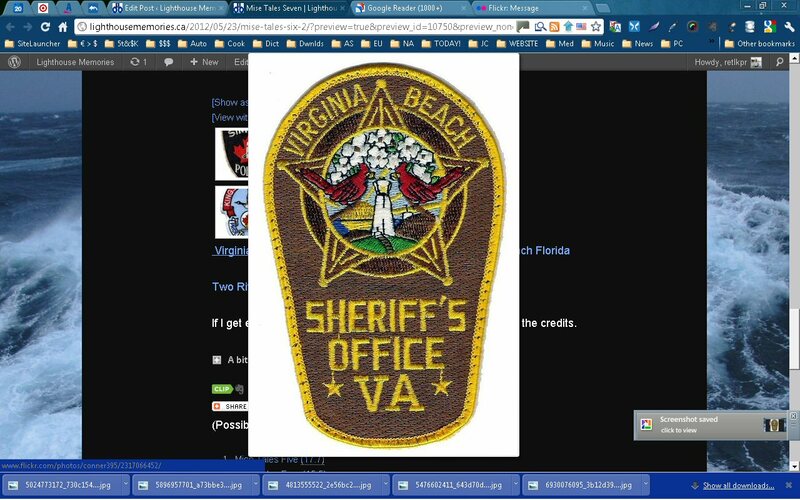 See the screen capture photo at the left where I clicked on a picture link. Cool!. DO YOU HAVE TROUBLE READING THE SMALL TEXT? If you have a mouse with a scroll wheel in the middle, then just hold down the CTRL key (lower left on keyboard) and then move the wheel on the mouse. The text will then increase OR decrease in size depending on the direction you move the wheel. This works on most websites. Blind no more! (I use it all the time!). Another method to increase text size is to use the “+” key – hold down CTRL and click the “+” key. Use the CTRL-0 (see above) to reset. A third method if you are using the Google Chrome browser is to set the “Font Size” in “Settings”. I would also like to extend the offer to any other BC lighthouse keepers, their wives, or children who feel creative. Contact me through the website or Facebook. Photo credits for the header photos at the top of the website are found under CREDITS.